A new Intuit (INTU) and Emergent Research report described the impact of cloud technology as it is progressively adapted by more and more small businesses. The report, titled “Small Business Success in the Cloud,” described the impact of cloud technology as it is progressively adapted by more and more small businesses. “We are reaching an inflection point where small businesses are seeing that cloud technology can not only make them more efficient but can actually help them transform their approach to doing business. Whether it is the way they hire employees, the way they run their back-office or the way they bring their products and services to market, the cloud is reshaping the way they operate,” an Intuit spokesperson told Talkin’ Cloud. Researchers predicted 78 percent of small businesses will fully adapt to the cloud by 2020, up from 37 percent in 2014. Plug-in players — These small businesses will plug into cloud services providers (CSPs) that deliver custom solutions, giving small business operators more time to focus on mission-critical areas of their businesses. Hives — Hives will include small businesses that operate virtually with employees across the globe. Head-to-headers — These small businesses will use cloud platforms and services to compete head-to-head with major firms. Portfolioists — Portfolioists will consist of freelancers who use the cloud to bring together multiple income streams and create a career portfolio. Intuit said the small business personas demonstrate how the cloud is creating a new era of opportunity for entrepreneurs and portray the human side of how cloud computing is making it cheaper and easier to start and scale a business. How badly do small businesses want to deploy cloud solutions? While many small businesses want to integrate cloud platforms and services, there are various hurdles they must overcome to successfully deploy these solutions. A May 2014 Microsoft (MSFT) survey of over 500 U.S. small businesses revealed the majority of small business owners are familiar with cloud solutions but do not use them at their companies. 90 percent of respondents said they were familiar with the cloud. 66 percent of small business owners said they managed IT for their businesses. 60 percent of small businesses attributed increased revenue to technology. 60 percent said technology allows them to compete with similar size and/or larger companies. The major technology concerns for small business owners included costs, security and the ability to access content from multiple devices in any location. Microsoft Office General Manager Kirk Gregersen noted the survey highlights the demand for cloud solutions among small business owners. However, these business operators are still concerned about the cloud, and it could take them several years to fully adapt to it. “Small businesses need cost-effective, secure and reliable solutions that enable them to be productive from anywhere — and they have very little time to implement and manage those solutions,” Gregersen wrote in a blog post. 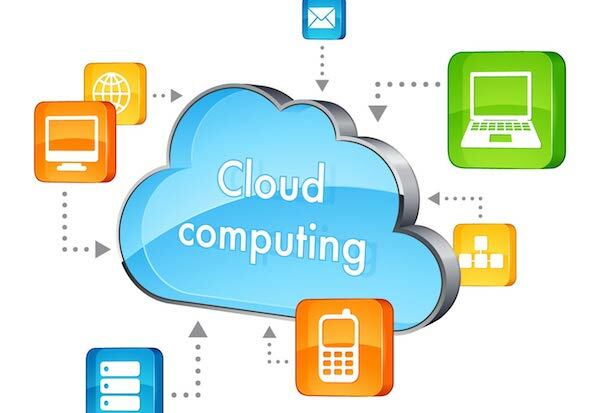 The growing face of business world is now completely over taken by cloud computing. This is now one of the most popular parts of software business; in other words we can also say that cloud is now the first essential part of every business both small and big.